Stonework is a very different and specialised scope to building works. It takes knowledge and experience to ascertain the correct source point and type of stone to be used. For example different types of stone are required depending on its application; a good illustration of this is a step opposed to a lintel. In this instance the stone has a different task to perform; steps are required to be of stronger more durable material to withstand the passage of footfall whereas lintels need to be strong in lateral strength to allow them to cope with the pressure created by the load above. Another specialist part of being a stone mason is the art of lime pointing. It is considered best practice to use lime with stone as it is a lot less detrimental to the stone itself, which allows the stone to withstand weather conditions to a greater degree. There is a cost implication to using lime as it takes a lot more time and effort on behalf of the Stonemason, but the results speak for themselves. Here at CJK Builders we have at our disposal a Stonemason with over thirty years experience in both the commercial and domestic areas of building. 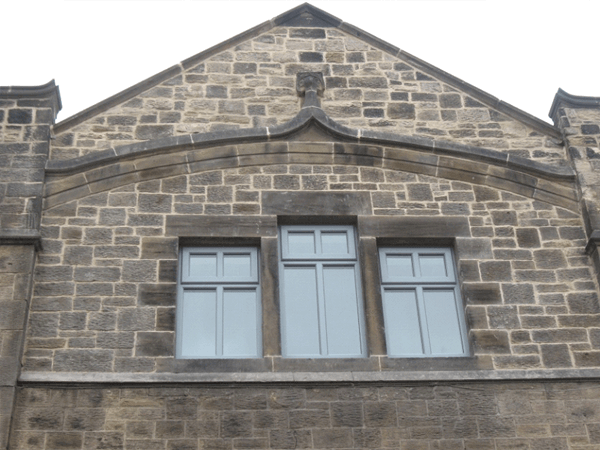 We are confident that we can solve any and all of your stonework requirements, and be able to advise you of the most cost effective way to complete your project. Whether you are looking for a stone alternative or a particular stone match we are available for free advice to help you on your way. 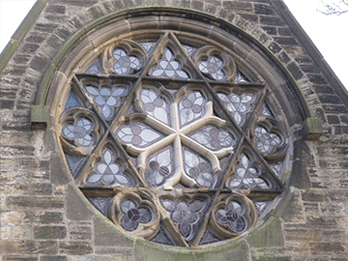 The condition of the existing stone supporting the centre of the window was heavily corroded and was not salvable. The repair consisted of removing the damaged stone work, making templates, stone schedules, fabrication of new stones, and the installation of the new stone work. The gable end had to be taken down to the window sill level and rebuilt. The same stones had to be rebuilt in exactly the same place. This involved marking up and drawing the stones to ensure correct replacement. Loft Conversions →← Should a builder join a building trades association?